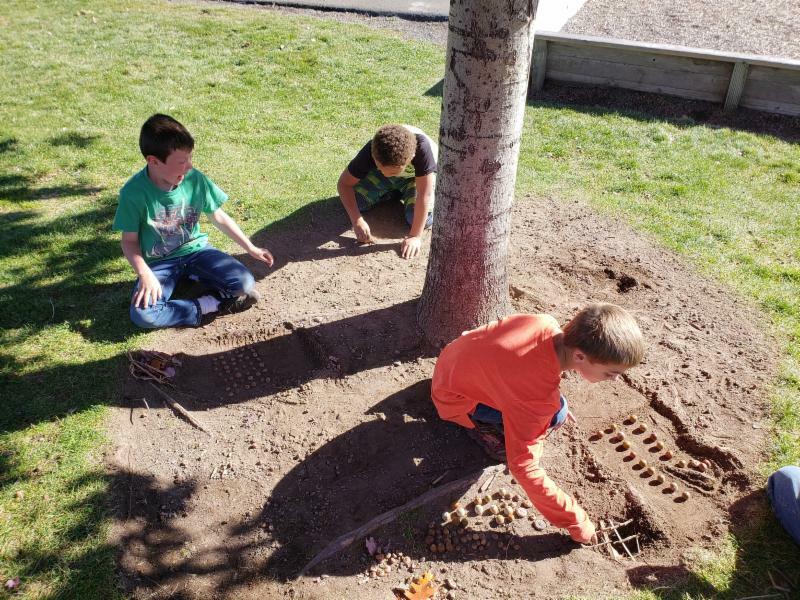 Autumn is upon us and our members are at the Club enjoying the cooler weather, playing in the fall leaves, collecting acorns, making beautiful art, and having fun! I am so grateful to be part of this organization, this community that continues to amaze me with all the generosity, caring and love we receive, and our staff and members that choose our Club to learn, grow, create and have fun!!! 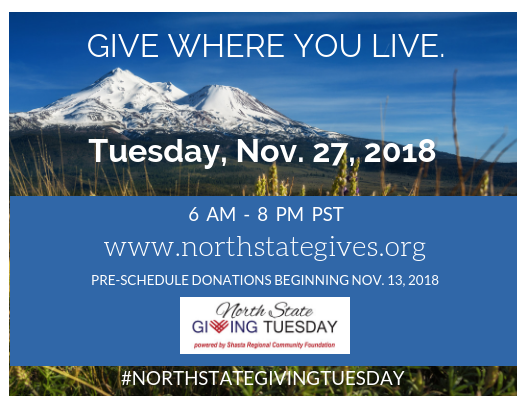 This year we are once again participating in the North State Giving Tuesday event. Without supporters like you we could not offer a safe, fun environment for the children in our county. 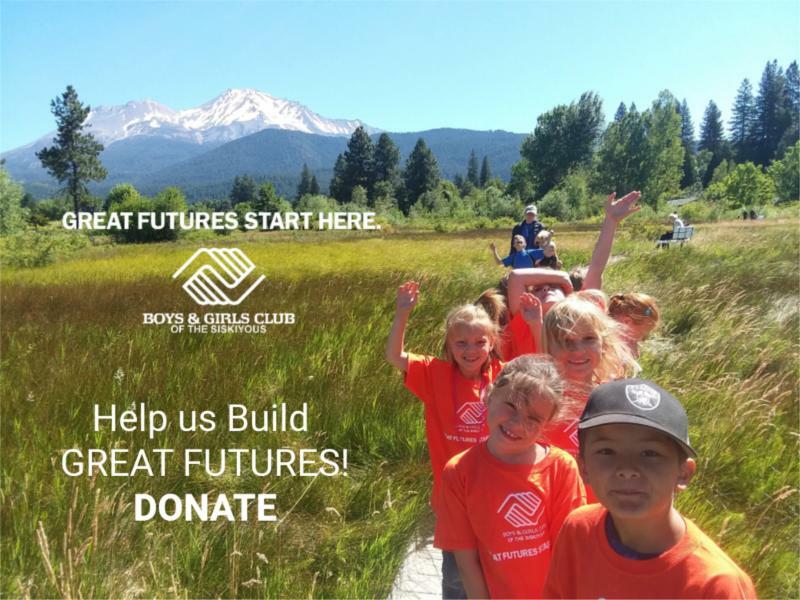 Scroll down and see how you can help build GREAT FUTURES for our youth. 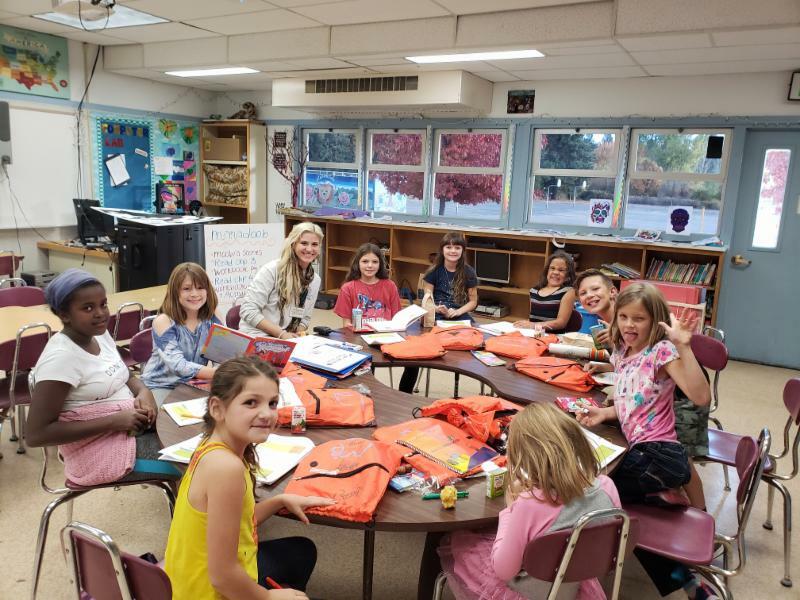 Banner Bank is a proud sponsor of our Club and we are excited to share that they will be teaching classes about money to our members. They will also be holding a coloring contest for the members, and entries will be on display at the Mt. 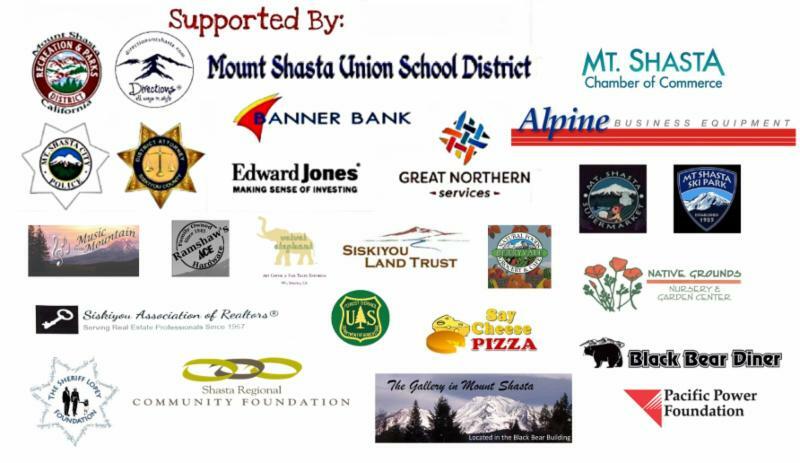 Shasta branch of Banner Bank, 312 Maple Street, for the public to vote on from November 12th through the 30th. Please be sure to go in and vote! They will be taking donations for the Club for Giving Tuesday! A Violin Concert by members who attend class with Music by the Mountain's Carolyn Carl will take place November 13th at 5:30pm at Sisson. There will also be a Holiday Open House with raffle fundraiser at Directions on November 29th. Prizes include baskets full of wonderful items and all proceeds will benefit the Boys & Girls Club of the Siskiyous! Thank you all that continue to support us. Supporters of our Club - We thank you! The Club will hold a Halloween Party on October 31. Mt. 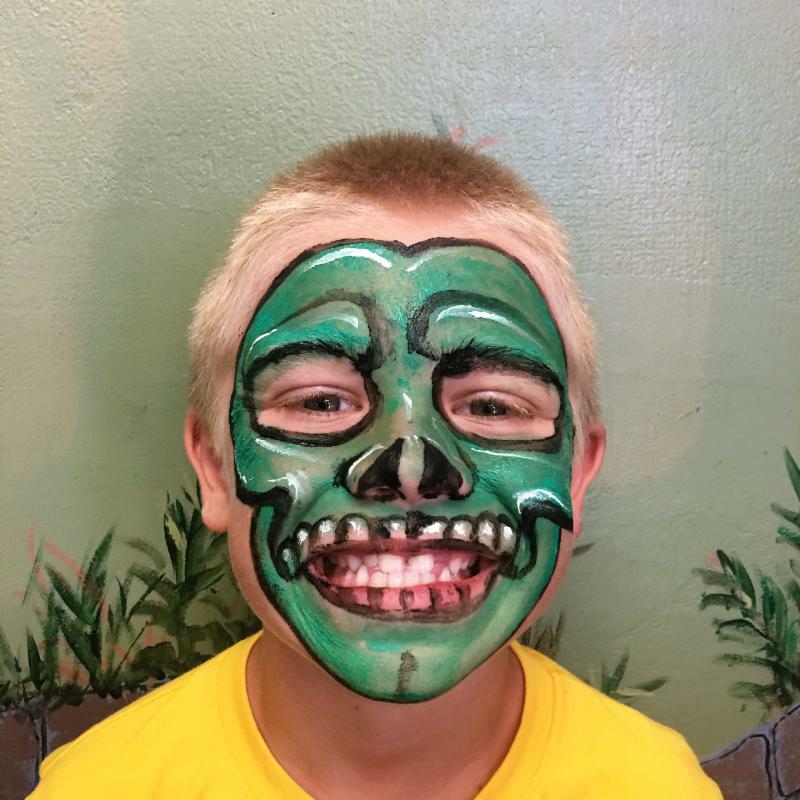 Shasta Elementary and Sisson Middle School will have minimum days so Club starts at 12:30pm and closes at 5:30pm. There will be games and crafts. 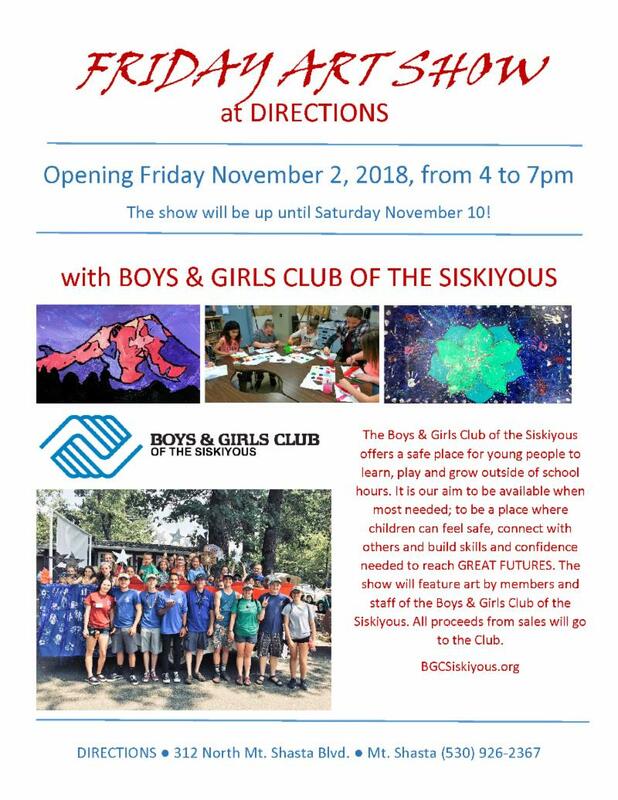 Members and staff of the Boys & Girls Club of the Siskiyous will show their art at Directions tomorrow! All art is for sale and proceeds benefit the Boys & Girls Club of the Siskiyous. Join us at the Opening Reception where some staff and Club Ambassador members will be available to discuss their media and processes in art making. Bring friends and family! This is a great time to get some holiday shopping done and support the Club. The Manadoob class is having fun learning about feelings and how to express them. Members make their own miniature farms and villages using acorns and sticks. 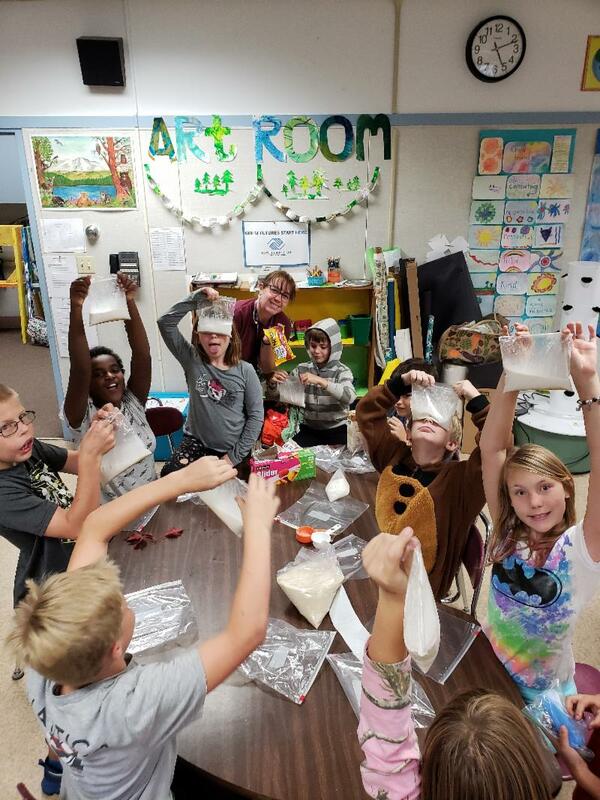 In STEM, the kids love making ice cream! ﻿near and far to give, too. 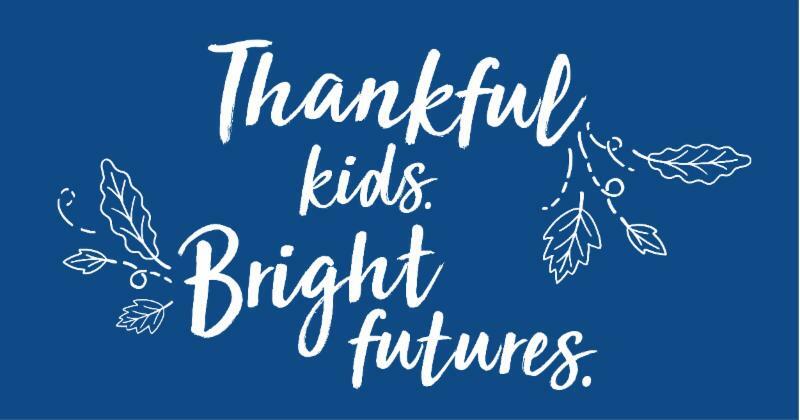 Together we are building GREAT FUTURES! It just takes One . 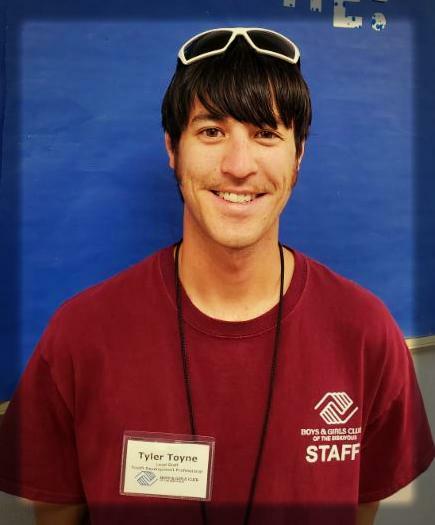 Tyler Toyne is 29 years young, born and raised in the Midwest. His passion is being outdoors, enjoying the sun and nature around him. 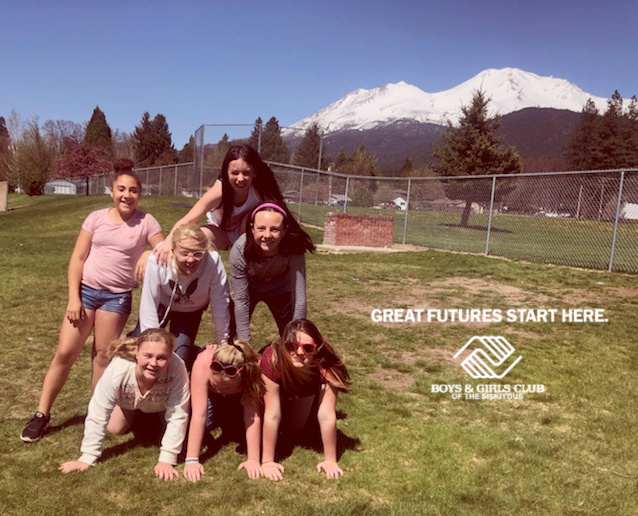 This love of the outdoors and teaching young people about nature has connected him with the Boys and Girls Club. His favorite program to teach is Ultimate Journey, Boys & Girls Clubs of America's environmental education program and he enjoys Triple Play as well.